We'll admit it - like most of the Western population above the age of 28, we're happy to roll our eyes when Susan from accounts shares yet another nostalgic listicle decrying the loss of our childhoods (i.e 90s staple accessories like Tamagotchis and platform trainers). But secretly, we're still obsessed. You can't ignore the little leap your heart makes when you see a picture of a McDonald's toy you forgot you had when you were nine, or someone points out a tiny little detail you missed in the background of Friends, twenty years after the show aired. So how about 90s tattoos? 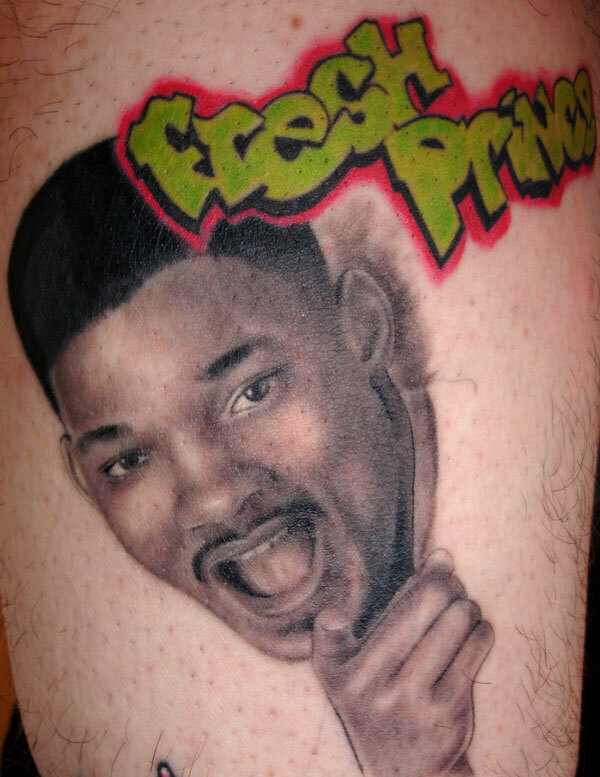 You telling us you don't want to see people who loved the Rugrats so much, they got them inked on their skin permanently? Who fancied The Backstreet Boys so badly, they carry them with them EVERYWHERE? Yeah, we thought as much. Don't lie to us and say you didn't have one of these. Literally every adult in the UK right now over the age of 27 once owned this pencil case. Remember the pencil toppers you used to get in cereal? Remember getting things free in cereal, full stop? Dreamy. How many did your little brother steal off you? Everyone thought they had a bitchin' pencil collection, until some kid's parents took them to Disney and they came back with THESE as souvenirs. THESE HELD SECRETS. BIG SECRETS. You weren't cool until you went on a school trip to the Millennium Dome and purchased a single pencil made from one recycled drinking cup. You really were funky friends, tho. OK, technically not stationery but were anyone else's windows/wardrobes/desks COVERED in these!? When the older kids grew out of Disney, these were where it was at. We can't look at this keyring without sharing a tear. You knew you were rolling with the big dogs once your Mum bought you a Tipp-Ex mouse. Coloured gel pens actually made homework fun. Remember the glory of writing on black sugar paper with the popcorn flavour smelly gel pen? Dreamy. So simple, but so perfect for passing notes surreptitiously to classmates. THESE RUBBERS NEVER STAYED CLEAN FOR LONG, BUT LOOK AT THEM. Yes, we still think these are made from pig's wee. Accidentally pressing too hard and breaking these pens was a criminal offence. But graduating from Berol Handwriting pens to your first fountain pen (and choosing it in W H Smith) was a Big Deal. Snap snap snap snap snap snap. This is where you kept all of your secrets. Making Christmas cards and items for the class display was where you did some of your finest work. Fooling your friends by mixing the lids up on these was all the fun. Anyone else collect the balls from ink cartridges and keep them in their pencil case for lols? If you didn't have one of these, you shouldn't have bothered with school in the first place.